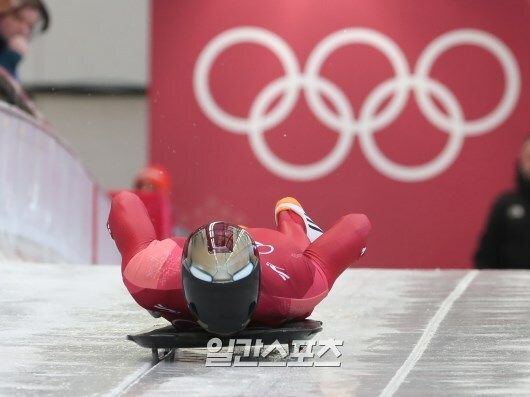 Yun Sung-bin, aka South Korea’s ‘Iron Man’, is leading skeleton at the 2018 PyeongChang Winter Olympics. On February 15th, Yun had two races and got the first place among a total of 30 Olympic racers. On his first run, he broke the record with 50.28 seconds, which is .36 seconds faster than the previous record. During the second run, Yun even broke his personal record with 50.07 seconds. He is now leading Skeleton and closer to winning the gold medal as the first Korean to do so in a sliding sport. Yun is also receiving global attention because of his iconic ‘Iron Man’ helmet. In previous interviews, Yun has said that he is a fan of the Marvel character and has made his helmet through a custom order. Yun Sung-bin’s final ranking will be decided on the 16th after he completes 3rd and 4th races. The race will be start at 9:30 A.M. on February 16th (KST).